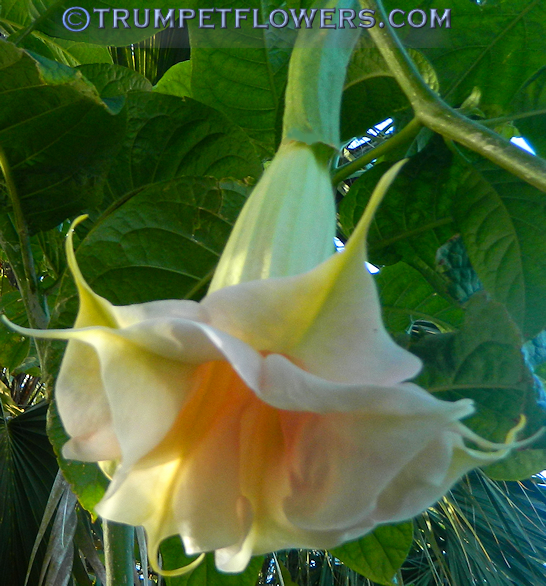 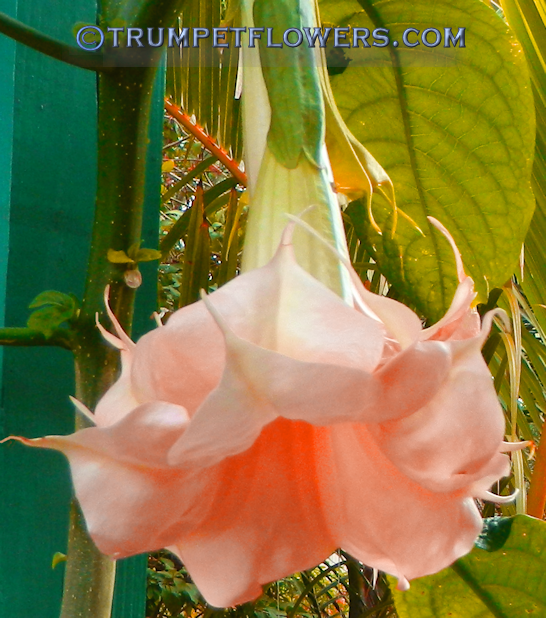 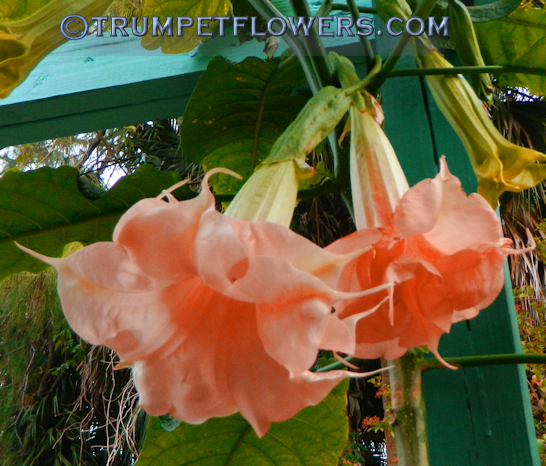 Freds Stepchild, a wonderful plae pink brugmansia bloom. 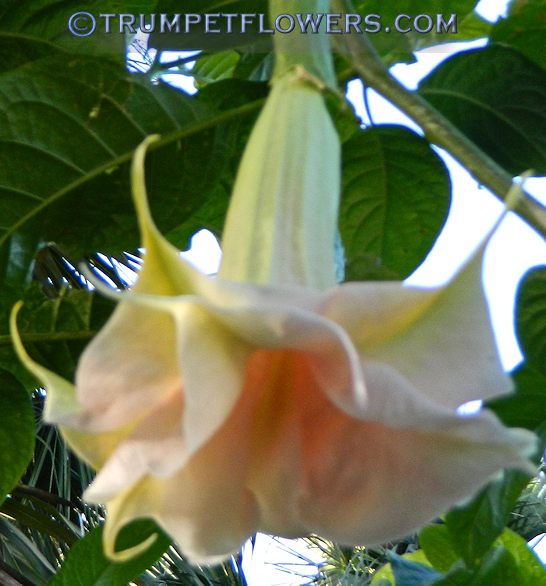 Freds Stepchild, first flush, young brugmansia. 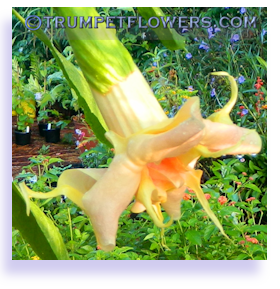 He&apos;s about 6 feet tall right now, and only about 8 months old. 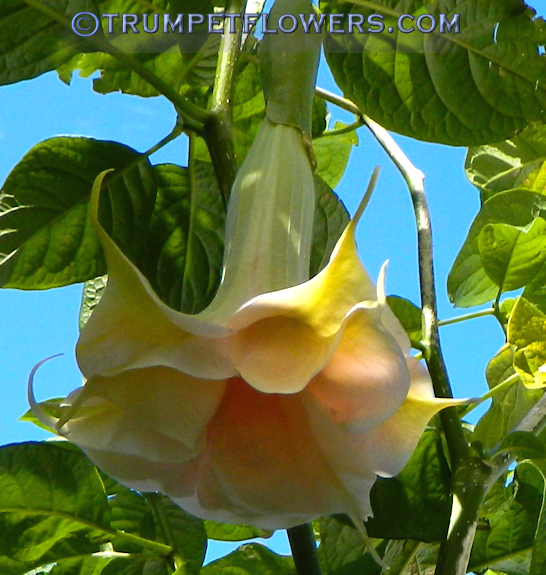 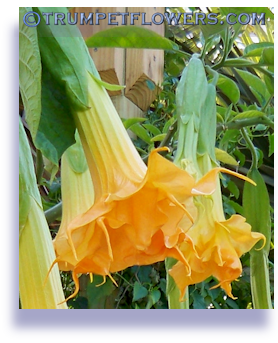 This entry was posted on February 14th, 2017 and is filed under Brugmansia Gallery.